As a Cleveland native it has been amazing to see the recent prolific growth and prosperity of Cleveland, Ohio. 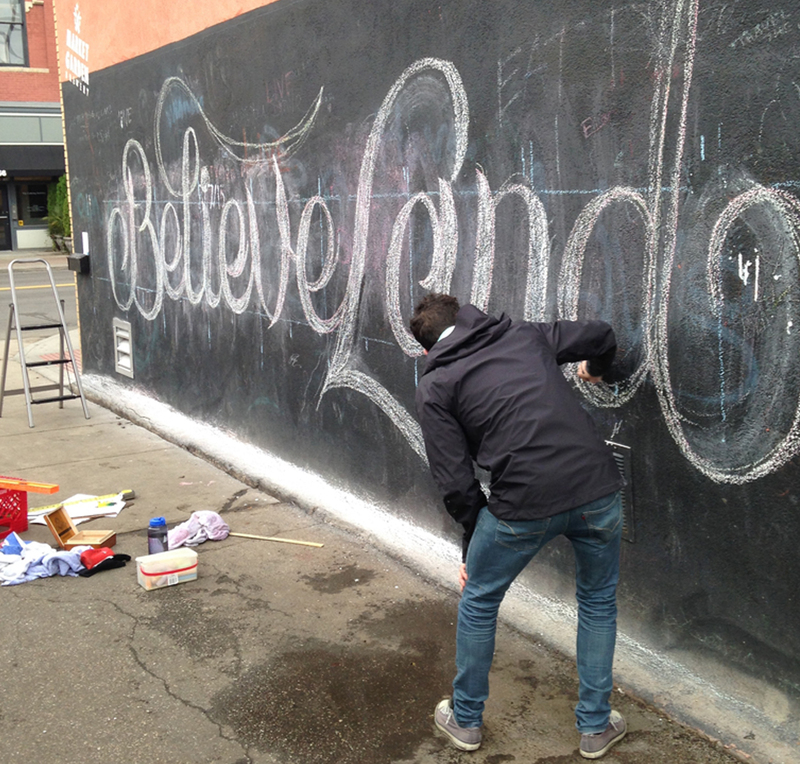 The term “Believeland” referring to “Believe in Cleveland” has been used all over the city in recent years, and I felt it was only appropriate to draw it on the exterior facade of the Market Garden chalk board wall. This project ultimately lead to an opportunity to design a shirt for CLE Clothing. Shop here.